What a lovely collection of baking needs, LoLo, you're saying. 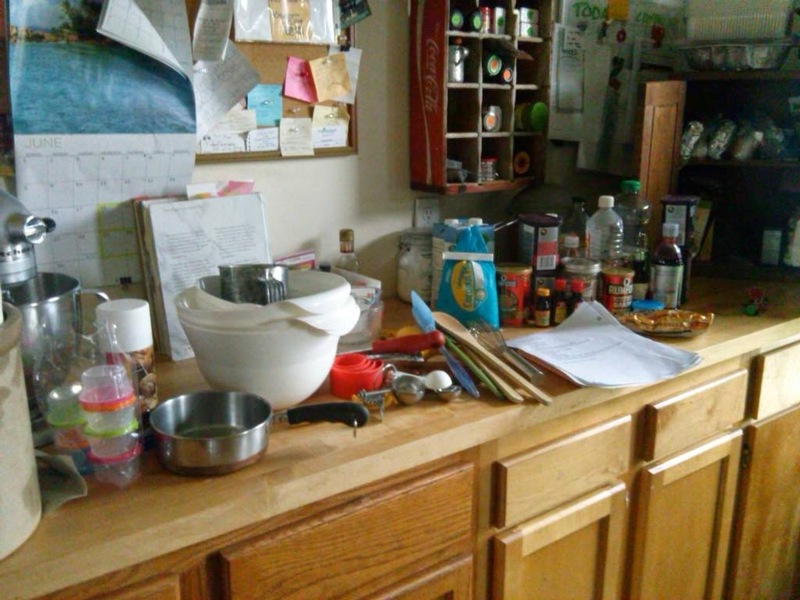 You see...I don't have things all assembled on my counter because I'm baking here today...or tomorrow...or the next day. No. We ran out of propane AGAIN. This is the 4th time since January. So, as we're sitting on an exorbitantly huge propane bill to repay, AND an empty tank, and the man says that we're not buying any more propane. My boss to the rescue!! Our office happens to be in a building with an upper AND lower apartment, which are both currently empty, and the basement apartment has (drum-roll please) a gas oven!! So last night, I triple checked my recipes, procedures and tools needed for the job ahead, assembled all, packed everything into 3 totes, and loaded up the car. Drove 15 miles to work this morning, and unloaded all down the steps and into the basement apartment, where, after my shift this morning, I will begin the process of baking 8 dozen cupcakes and making fondant decorations. I am still totally peeved that I can't do this at home...HOWEVER...I am focusing that energy today on being grateful that I have a boss that is generous enough to offer the facilities in the basement for me to use. Also eternally grateful that I am physically able to traverse the stairs, as there are those who cannot. I am overflowing with gratitude.